Jeff Smith has said for some time now that I need to market the t-shirts better than I do. Selling them has never been a priority. Yes, it's pretty cool seeing the t-shirts out and about. It's cool that people can express their inner oraclenerd like I seem to do on a daily basis. The real reason I put effort into t-shirts and the like, is katezilla. Recently we got hit with a couple of things: 1, a $190 iPad app for Kate and 2, her ABA therapy co-pays finally came due. For #1, I ran a GoFundMe campaign and encouraged you to buy t-shirts. 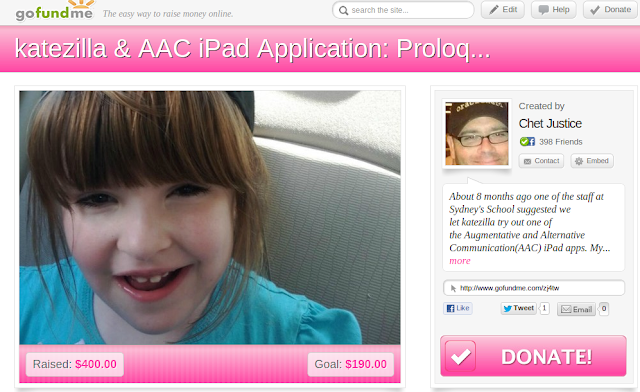 The GoFundMe campaign raised $420 in less than a day, more than covering the cost of Kate's iPad app. I used the remaining funds to make a payment on #2, her ABA co-pays. I also sold about 10 shirts just after that post and close to 20 in total since. I am constantly humbled at your generosity. What does all of this have to do with the title? 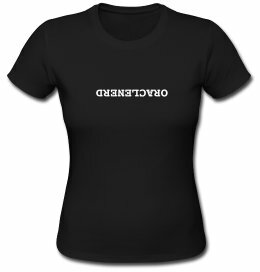 Well, people have asked for shirts either through Twitter, IM or email. 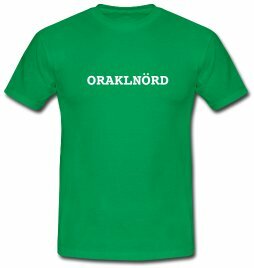 Shirts with specific sayings or different styles. Two weekends ago on a Friday night, Don Seiler suggested a hoodie. Living in Florida I had never thought about it, but he lives in Wisconsin where it gets a little cold. We went back and forth on twitter, I would go on Spreadshirt and spin something up, screenshot it, and send it across the wire. On Monday I had a final product and I named it after Mr. Seiler. Mr. Seiler (picture) ordered one and so did Mr. Smith. Awesome. The other shirt there is the German Austrian edition. Martin Berger was responsible for that one (I have a Cyrillic and Russian version in the hopper for Greg Rahn). Late last week I talked to Lisa Dobson. She got one last year for OpenWorld and wanted a new one, with a twist. Upside down logo (she's British). So I named it after her. 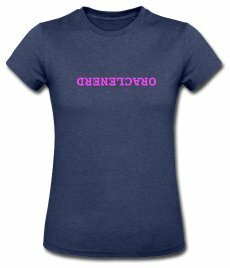 Note, the pink version is only available in the US, that brand isn't carried on the European Spreadshirt site. So, if you have an idea (Mr. Seiler has designed two now, the long sleeve baseball jersey and the hoodie), send it to me and I'll spin something up for you. How could I forget the APEX version (Joel Kallman)? Or the OBIEE version (Adrian Ward)? Because I'm forgetful. I'm sure there are others. Just so it's clear, there are two shops: North America and Europe. They're not exactly the same as it's two separate systems, but I'm trying to keep them in sync. Send me your suggestions...all proceeds go to a great cause katezilla. I really need to learn how to say no. I, somehow, got roped (pun intended) into helping to put together a Sunday Symposium for ODTUG at Oracle OpenWorld this year. If you've been following along for the last couple of years, you'd know that I have this thing for DevOps (devops to me). For KScope 2011, I tried to put together a Sunday Symposium on this very topic. Lewis slapped me down though, "Tools Justice, tools." So we amended the Sunday Symposium to focus on the tools while doing those devopsy kind of things. Much better. This year I tried to do the same thing. 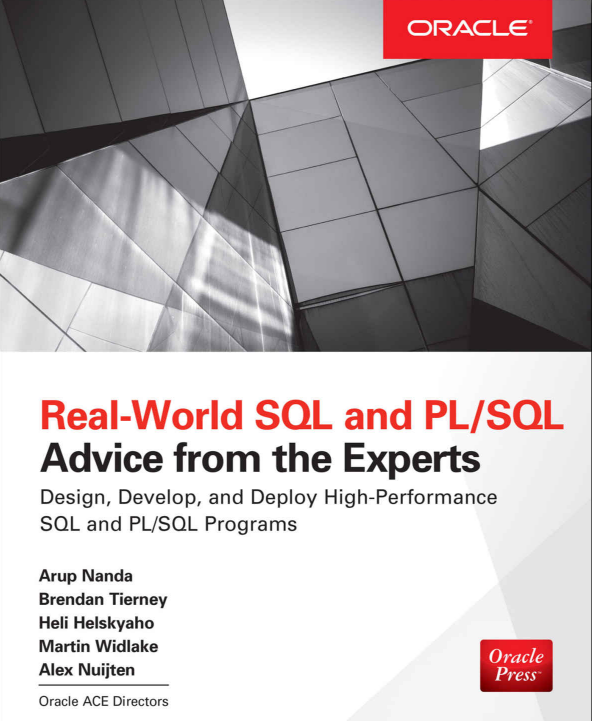 (Side note: The reason I am so "obsessed" with this topic is because I think things like testing, source control, and testing are done very poorly in the database world, the Oracle database world specifically. I know there are places that do it right, my first organization did it right, and then made me a bitter old cynic at each successive organization I came across. I also realize that doing some of these things on/in the database are much more difficult than wrapping up a binary or a web application. Data. It usually comes down to the data. Blah blah blah.). Kris Rice of Oracle SQL Developer fame ran KScope 12's Sunday Symposium...I gave him the topic, and he made it happen. Bonus points for Kris as he won the ODTUG Volunteer Contributor of the Year Award. You can find the slides from that Symposium here. So here I am again, pushing the methodology or process involved around Oracle Database development. I think it's important. Very important. Fortunately I have a mentor who has spent way more time thinking about this than I. That would be Dominic Delmolino. Cary Millsap had sent me a presentation that Dominic had done at UKOUG in 2010. It was fantastic and about 23 hours worth of material. That was the original inspiration behind the 2011 KScope Sunday Symposium and I have tried to kept it going ever since. So, back to the ODTUG Sunday Symposium at Oracle OpenWorld this year. Pretty impressive line-up isn't it? I'll be posting more details in the days and weeks to come. If you're heading to Oracle OpenWorld this year, check out one or more of these sessions, you won't be disappointed. 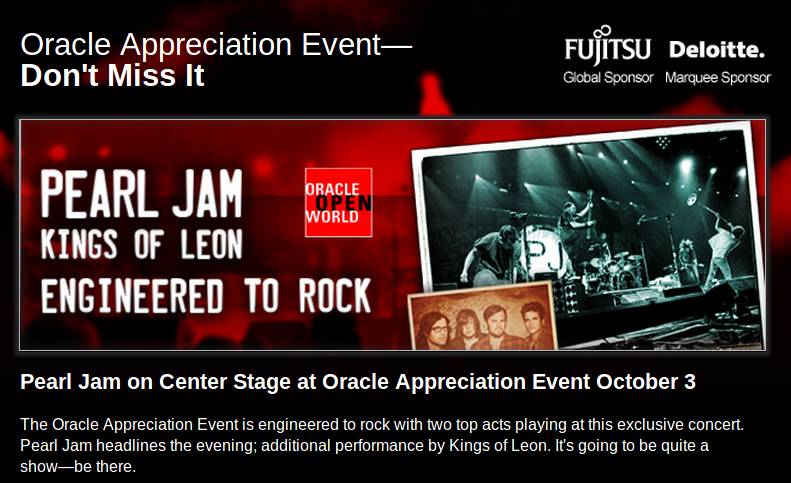 So, it was announced today that Pearl Jam would be playing at Oracle OpenWorld's appreciation event today. You can read the news here. 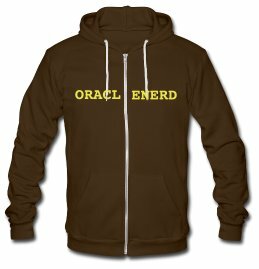 For about 6 months now I've been thinking how cool it would be to get someone from the band to wear an oraclenerd shirt. Originally I had approached staff at Oracle about somehow getting in touch with the band, but that wasn't to be. "Think, McFly, think." Umm, Twitter anyone? How about a campaign on twitter? Yeah, that'll do it. Did I mention that all of this helps pay for katezilla? Yeah, it does. Let Eddie know! Help me out here. Let's see if we can make this happen. About 8 months ago one of the staff at Sydney's School suggested we let katezilla try out one of the Augmentative and Alternative Communication (AAC) iPad apps. My parents let us use their iPad (v1) and bought the app that was suggested, My First AAC. She's mostly used this at school, only really getting into it at home over the last month or three. Fortunately, she has outgrown it. I say fortunately because it's great for her, but "bad" for us. I like to joke and say that Kate will have to pay for her own college and wedding as she's spent all of our money (I've been saying this since she was two). Of course, it's not true. I would spend all the money in the world on Kate if I had it. So she's outgrown the current app. Her teacher has suggested that we upgrade to Proloquo2Go. Here it is on iTunes. 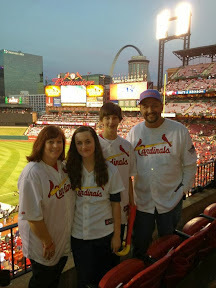 Now, our insurance has been great, a lot better than we initially expected. Most of her therapy is covered...but we've learned recently that we've missed her co-pays...going back to January. Ugh. Would have been way easier to deal with on a weekly or monthly basis, but staring at it with 6 months, not so fun. More bright side, her tuition has gone down this month and for the upcoming year. Yay for that! Great question. I figured I'd do a t-shirt drive to help pay for Kate's AAC app. 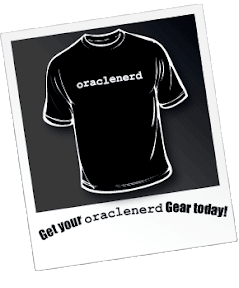 Oracle OpenWorld is coming up and if you're going, you need a shirt. Even if you're not going, you want one of these...I know you do. Go here if you're in the US. I've heard from a few of you that shipping across the pond is simply cost-prohibitive. It should be easier for you now, I created a European "shop" which you can find here. No more excuses. Go buy one. There are a few others (and I obviously need to study my geography a bit better). Wow! Made goal in less than 12 hours. How awesome is that? Finally, some katezilla goodness. Just in case you needed a reminder of why I do this stuff. She's interspersed throughout the video. The girl with the long black hair with a flower in it is one of Kate's friends. So it's taking a little longer than I anticipated. That's a good thing (for me anyway). In Part I, I tried to diagram out what my plans were. My drawing was crude, and remains so. Mike Durran left me a link to the drawing below which is found here in the docs. Now I'm an ambitious lad, but not that ambitious. This is for fun and amusement, perhaps I'll learn a thing or two along the way. So how does this qualify as Part II? Well, I finally created the database. (No, I'm not going RAC like the diagram and docs say. Like I said, I'm not completely nutters.) This is an accomplishment for me as it's been quite some time since I've built anything, close to a year. So I'm celebrating by writing. I used OEL 5.8 because that's the latest version I could find that was certified for 11.2.0.1 (straight from OTN). I was unable to find a single document that listed out the supported OSes, but I'm not that adept at searching through MOS yet (LOWER( DBA )). If you know where it is, please link it up. This database will serve as the repository home for OBIEE and perhaps something like Identity Manager (OVM, OAM). I'll probably end up using it as a source and target for various projects as well.